Indoor cats have different dietary needs than outdoor cats. 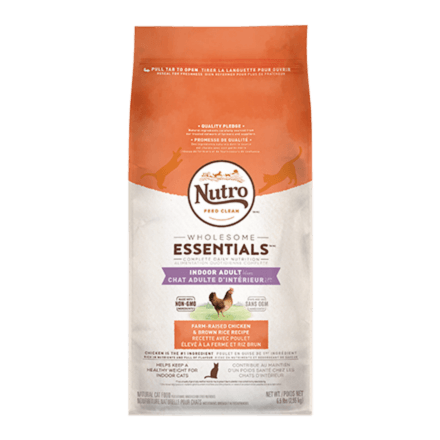 NUTROTM WHOLESOME ESSENTIALS™ Indoor Adult Dry Cat Food White Fish & Whole Brown Rice Recipe contains an ideal calorie content and the higher fibre necessary for an indoor cat’s lifestyle. Indoor cats tend to groom more frequently than their outdoor counterparts. Our premium indoor cat food contains a natural fibre blend to help minimize hairball formation, and natural oils promote soft, shiny fur. Best of all, our #1 ingredient is real white fish for a premium taste that will leave your cat satisfied. ‡Use a standard 8 oz. (250 ml) measuring cup, which holds 3.32 oz. (9.41 g). 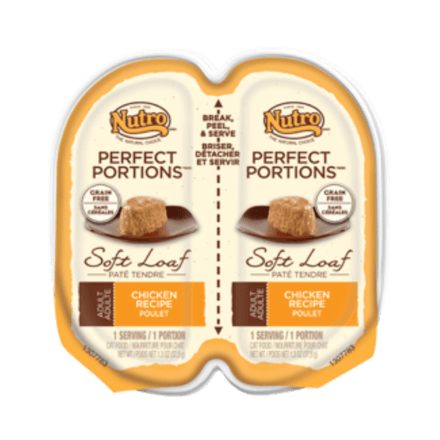 of NUTRO™ Indoor Adult Cat White Fish & Whole Brown Rice Recipe Dry Cat Food. 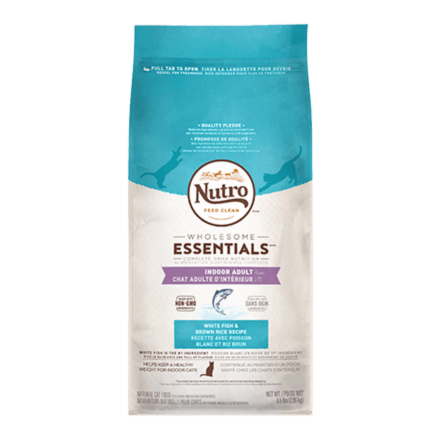 NUTRO™ WHOLESOME ESSENTIALS™ Indoor Adult Cat White Fish & Whole Brown Rice Recipe Dry Cat Food is formulated to meet the nutritional levels established by the AAFCO Cat Food Nutrient Profiles for maintenance.